Basically, an oscillating tool is the jackknife of power tools. 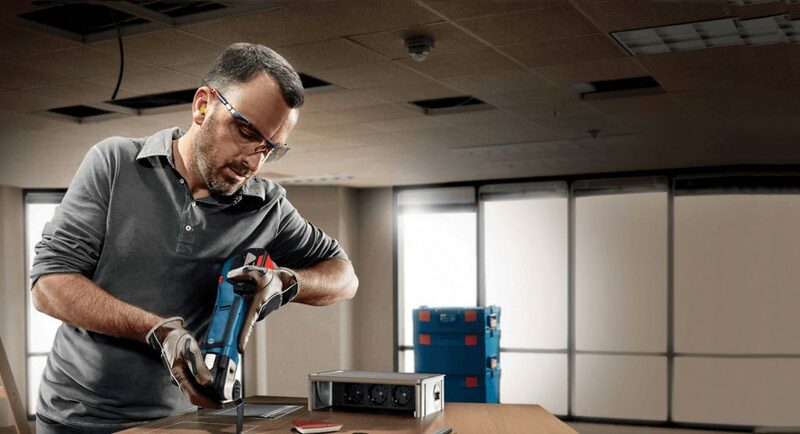 Oscillating tools can handle a ton of tasks—cutting, grinding, scraping, sanding, sawing—and deliver clean results in tight quarters. 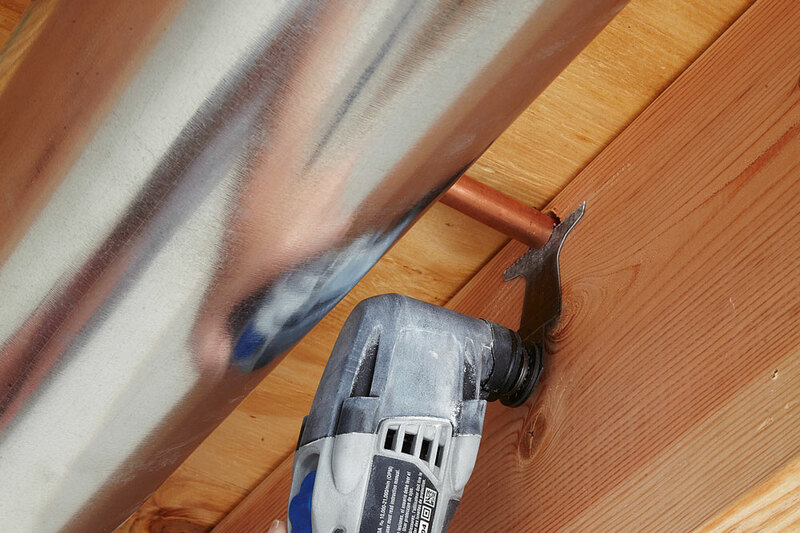 Oscillating tools are popular with carpenters, contractors, tradespeople, flooring and cabinet installers, and serious hobbyists. Regardless of the job, professionals love these tools. cut plastic, metal, wood, drywall and fibreglass. When comparing oscillating tools, pay close attention the oscillating angle, which is the distance the blade travels, measured in degrees, as it vibrates. This angle is often between 2 and 4 degrees. Tools with greater oscillating angles will cut faster, and tools with a shorter stroke are easier to control and leave a smoother finish. One important feature is a variable-speed trigger, which offers greater control and allows you to choose a cutting speed (as high as 22,000 oscillations per minute) that best suits the attachment and material. This level of control can prevent clogged blades, burned work surfaces and overloaded tools. Tool-free blade changing is another popular feature. It can save you time on the jobsite, especially if you need to complete a task that requires the use of several different attachments in sequence. Trigger locks and ergonomic grips are also common. Both these features can help reduce fatigue over the course of an afternoon. Corded oscillating tools have more power than their cordless contemporaries, and this power can come in handy when cutting through hard wood or other demanding materials. 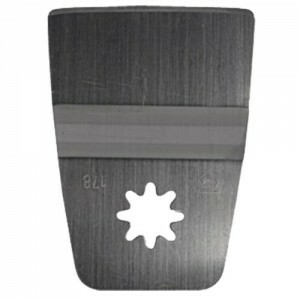 From bi-metal and plunge-cut blades to carbide-edged discs, hook scrapers and sanding pads, there is an oscillating tool accessory for almost every job. Wood-cutting blades are the staples of your accessory tool box, ideal for undercutting baseboards and flush-cutting door jambs. Use a wide blade with aggressive Japanese-style teeth for fast cutting and a fine finish. These blades require more power and their large teeth are susceptible to breakage, but they produce smooth, efficient cuts and clog less often than blades with smaller teeth. Try a narrow straight blade for plunge cuts. Bi-metal blades cut slower than wide wood cutting blades, but they can handle rugged materials, like nail-embedded wood, that could damage a standard wood-cutting blade. Circular HSS blades cut multiple angles from a single blade position and work well when cutting fibreglass, sheet metal or plastic. Their fine teeth quickly clog when used at high speed. 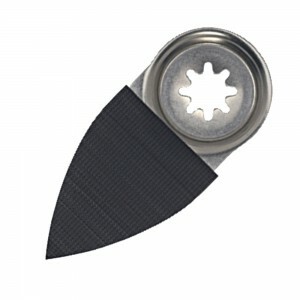 Scraper knives are available in assorted widths, with both rigid and flexible varieties. Rigid scrapers are best for peeling off old carpet, lino, dried-on glue or even old gasket material. Flexible scrapers excel at removing caulking or paint, and hook scrapers can clean up the narrowest of crevices. 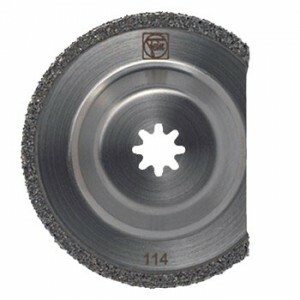 Grinder blades can handle tough material like thin-set mortar, tile adhesive or rough wood. 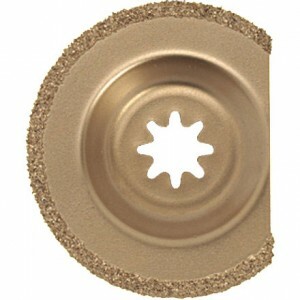 Sanding pads turn your oscillating tool into a detail sander that works in the narrowest confines. Sandpaper sheets come in a range of assorted grits. 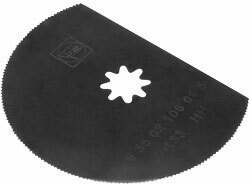 Carbide-edged grinder blades are excellent for removing standard tile grout and create less dust than high-speed rotary tools. KMS Tools has an oscillating tool for every budget, from the top-of-the-line Fein and Festool models to the effective and very affordable multi-tool from King Canada. The key to choosing the right tool is anticipating how often you’ll use it. But even if you’re buying it for a single job, once you have an oscillator in your toolbox, you’ll find more and more ways to use it. Have a look at our selection of oscillating tools and accessories, and consider how these handy tools could help you work more efficiently. 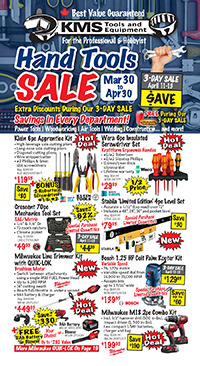 This entry was posted in Archives, Buying Guides, Power Tools and tagged Bosch, cordless power tools, DeWalt, Dremel, Fein, Festool, King Canada, Makita, Milwaukee, oscillating tools, oscillators, Power Tools by Your Friends in the Tool Business. Bookmark the permalink. ← Previous Previous post: 80 Pallets of New Hope!